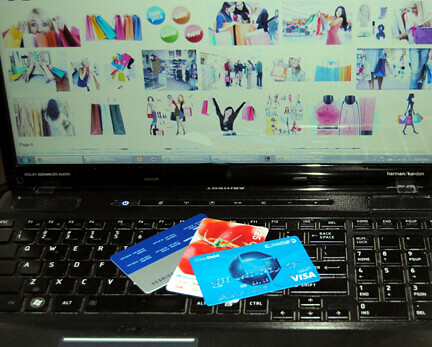 As you make purchases on different sites, are you making sure to protect yourself while shopping online? Last year, Cyber Monday, the online counterpart to Black Friday, set the standard by becoming the biggest day for online shopping in history. People flocked to their favorite online retailers with the hopes of snatching up the best deals. Already in 2013, the excitement is mounting as retailers prepare for the influx of holiday web traffic, which may be even greater than last year’s record-setting numbers. At Bridge, we get excited about the holidays and the great deals we can find online, but we also urge caution. Frenzied online shopping can often lead to security blunders, so this year, as an early holiday gift and to celebrate Cybersecurity Month, we’re offering some basic tips for how to protect yourself while online shopping and stay safe online this holiday season. Be sure that your computer or mobile device has the latest version of security software installed before embarking on your shopping extravaganza. Perhaps an early Christmas present to yourself can be the 2014 version of Webroot’s SecureAnywhere Antivirus software. While you may be in the holiday spirit, there are plenty of others who see this season as an opportunity for hacking, identity theft, and other crimes. Secure your online activity by changing, and perhaps enhancing, your passwords – your name and birthday simply won’t cut it these days. Don’t use the same password for everything. Include letters, numbers, symbols, and both upper- and lowercase letters. Read more helpful advice on how to create strong passwords. Doesn’t the joy of online shopping stem from being able to do so from the comfort of your own home? Rather than actually shopping online from your local Starbucks or Dunkin’ Donuts, use time in public spaces as a chance to determine what purchases you want to make. Maybe even ask your neighbor for his or her opinion on what to buy a loved one, but always make actual purchases at home on your closed private Wi-Fi network. Many of us plan to use our mobile devices to complete our shopping sprees this year. Let’s make sure we use our smartphones wisely. Only download apps that have been developed and distributed by official retailers, such as Amazon, Walmart, and Barnes & Noble. Make organized chaos of your holiday shopping by keeping track of your purchases. It’s critical to look for each online purchase to come through on your bank or credit card statement. Make sure you are being charged the proper amounts and see only those transactions you expect from retailers you know and trust. Follow these tips, and enjoy a safe holiday online shopping season this year! This entry was posted in Cybersecurity and tagged cybersecurity, online shopping on October 20, 2013 by Bridge Technical Talent.